A thermostat, in conjunction with your HVAC equipment’s circuit board, compose “the brains” behind your system. A thermostat can work as simple as a heating/cooling on/off switch, or it can provide automated precision control of your indoor environment. Whether basic operation or automated precision is your preference, we provide several options to meet your needs. Below are some of our more popular choices. 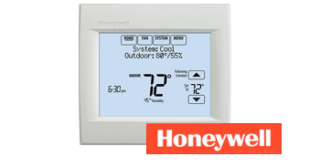 If you have any questions about these thermostats, let us know. We’d be happy to help!